One of the nicest things about living partly in France is that I get to see different horse breeds, riding styles and cultures, that I wouldn’t normally come across. 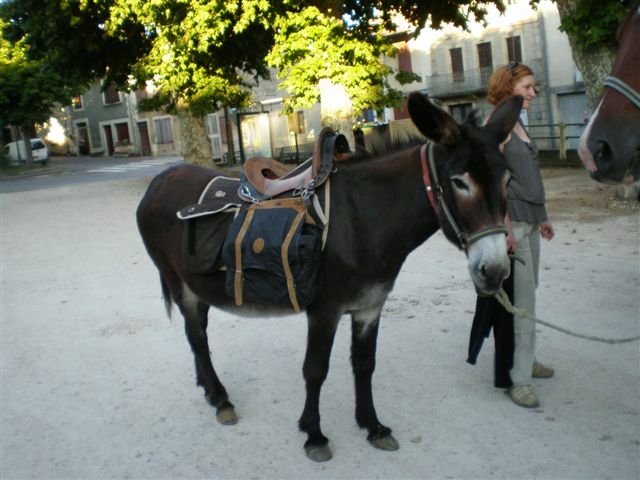 For example, one of the local breeds near us is the Ane des Pyrenees, or Pyrenean donkey. This breed is distinctive-looking, with a pale muzzle and circles round the eye, contrasting with the black coat. They’re very common in the area, but I’d never come across them before I lived in France. Another local breed that I’ve discovered is the Merens. These tough little mountain ponies are the dead spit of English Fell ponies, and were bred for much the same qualities – strength, stamina and sure-footedness. I have a very soft spot for Fell ponies, having owned one for 23 years, and I’ve enjoying meeting the Merens and riding them through their native mountains. Riding a horse through its native environment is a special feeling – so far, I’ve ridden Fell ponies in the Lake District, a quarter horse in the US, Welsh ponies in Wales and Merens in the Pyrenees, among others – and it does help make you feel you’re on holiday. 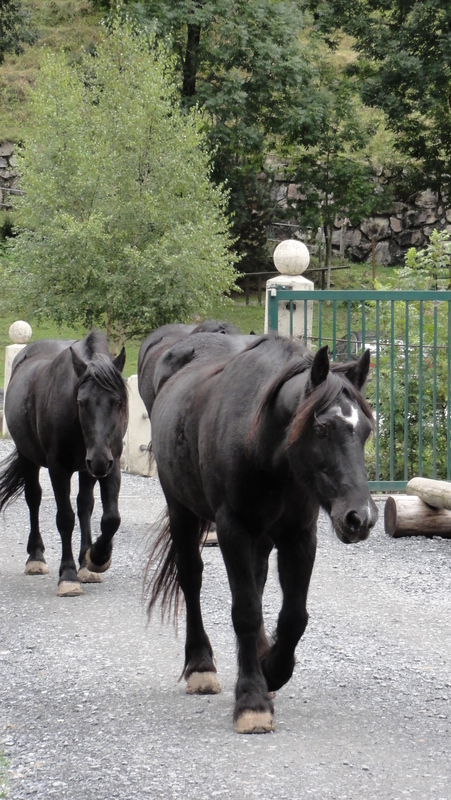 Merens ponies from a trekking centre are ushered through the streets of Gavernie at the end of their working day. II love to explore the different horsy cultures in foreign countries, and will often drag my long-suffering husband into tack shops when we’re abroad, so that I can examine the different types of bit and tack, and compare them to their English equivalent. I find American tack shops particularly interesting, as I have no idea what half the stuff does. Modern cross-breeding now means that the native breeds of each country are not as widespread as they were. The horses at my French riding club are mostly quarter horses crossed with English thoroughbreds, with maybe a dash of the Selle Francaise, or French riding horse, thrown in. However, in France as much as in England, the traditional breeds are protected and encouraged, so hopefully ‘la difference’ will never die out, and I’ll be able to continue learning about the equine history of other countries.